Captain America: The Winter Soldier star Anthony Mackie is joining Seth Rogen and Joseph Gordon-Levitt for their Untitled Christmas Eve Project. The holiday comedy reunites Seth Rogen and Joseph Gordon-Levitt with their 50/50 director Jonathan Levine. Sony has no comment regarding the casting at this time. The story follows three childhood best friends who reunite in New York City for their annual Christmas Eve outing. 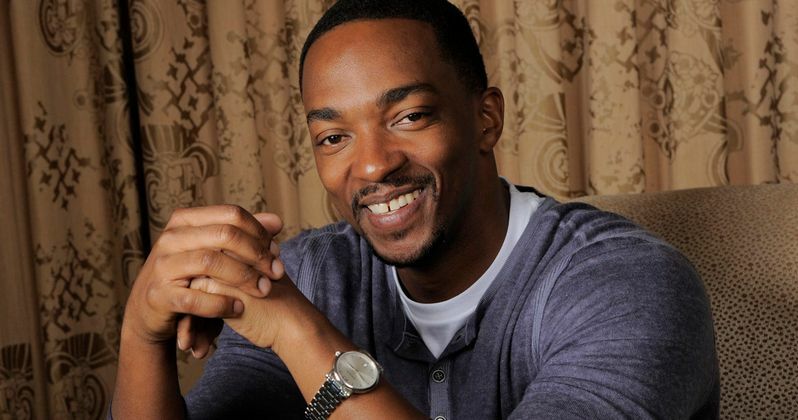 Anthony Mackie is currently in negotiations with a deal expected to close shortly. The comedy begins shooting sometime this summer. Seth Rogen is producing alongside his writing and directing partner Evan Goldberg and James Weaver through their Point Grey Pictures banner. Nathan Kahane and Joseph Drake are executive producing through their Good Universe banner with Kyle Hunter and Ariel Shaffir. Sony acquired the Untitled Christmas Eve Project in February after a heated bidding war. The studio has already released Point Grey's This Is the End, which became a big hit. Next, they have The Interview starring James Franco, Seth Rogen and Lizzy Caplan coming later this year. Sony also has Sausage Party in the works, the first animated feature comedy from Seth Rogen and Evan Goldberg. Good Universe produced the recent box office hit Neighbors and co-produced and financed 50/50. Anthony Mackie will next be seen in the romantic drama Shelter starring opposite Jennifer Connelly and directed by her husband Paul Bettany. He also has the indie comedy A Many Splintered Thing coming out soon, which reunites him with Chris Evans.